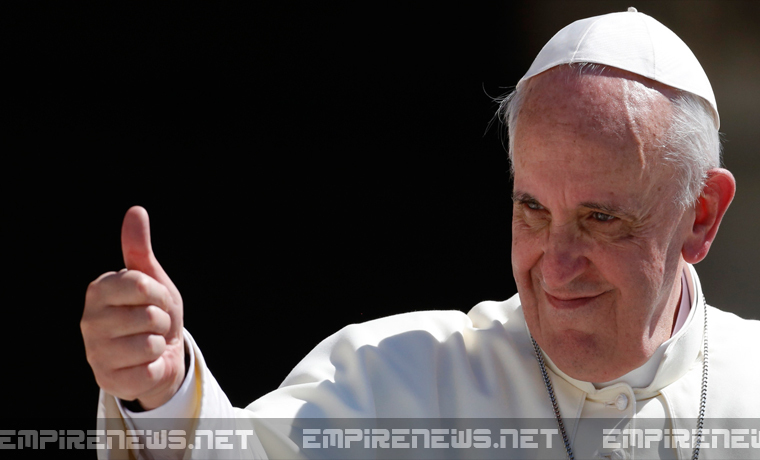 Pope Francis made a surprise announcement during his weekly Sunday Mass in Vatican City, stunning the world when he said that the church has decided that their priests would be allowed to wed, something that has never been allowed in the history of the Catholic Church. Despite the announcement taking place earlier this morning, there has been no word on whether any priests have elected to look for a wife, or if they’re content with their current arrangement of molesting children for years, having the church pay hush money, and being moved to a new location after all the news is buried. 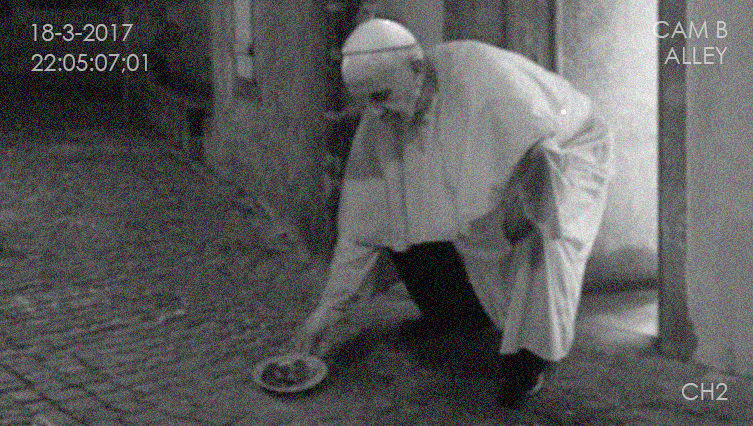 According to Vatican Police, the footage was retrieved from a security camera system on March 18th, and showed the Pontiff stealing a plate of food that had been donated by local restaurants and left for the city’s homeless. The Pope, when questioned about this act, seemed very shaken. Police are not buying the explanation, but are forced by law, to ignore it completely. Public opinion of the Pope has so far not been damaged, as most people don’t care at all about the homeless, especially homeless in Rome. Pope Francis says that the world-wide phenomenon that is Pokemon Go is really a Devil’s tool to bring children and teens over to the “dark side” of Satan. Francis says that the reason that the game is so popular is that technology has replaced actual friendships, but that the exercise that children are getting as they walk around, looking for digital creatures, is only going to lead to destruction. Pope Francis concludes his first trip to the United States on Sunday by visiting the town that he says has the “least hope” for its citizens getting into Heaven, Philadelphia. After a parade and speech before Congress in Washington, D.C., and a quick stop in New York City, The Pontiff will reportedly toss out the first pitch at a Phillies game against the Washington Nationals, before heading back to The Vatican on Sunday evening. According to Bishop, Pope Francis has been “extremely excited” for his chance to throw the first pitch at the Phillies game. 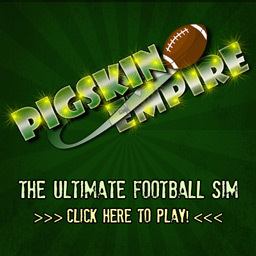 The game is scheduled for Sunday afternoon at 4pm. 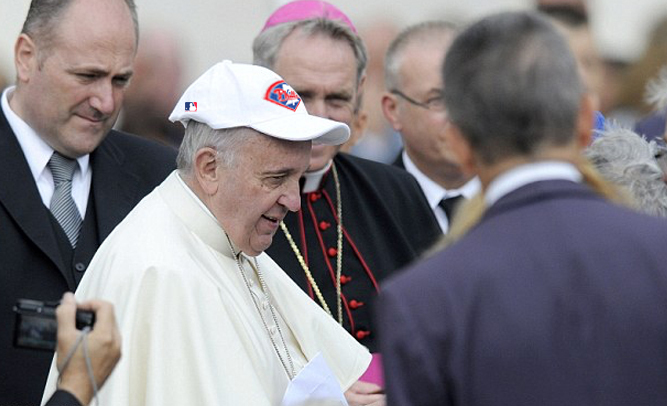 The Pontiff takes the mound at 3:55pm, where he will give a short speech before the game. Pope Francis arrived in the United States earlier this week, in his first ever visit to the country. 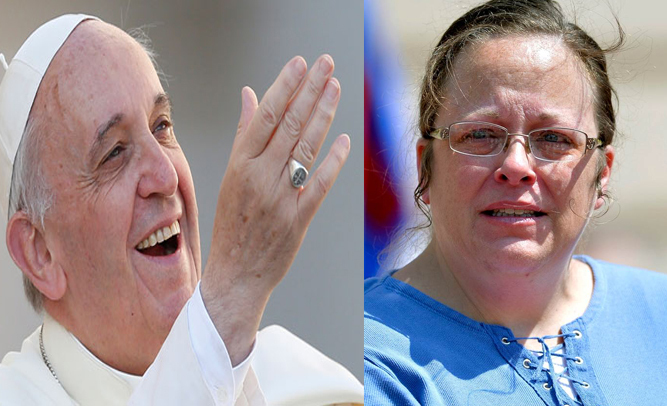 The pontiff has a very full schedule during his trip, including speaking before congress and meeting with President Obama, but his initial act upon arriving on US soil was shocking to everyone, as he has apparently agreed to meet with recent headline-grabber Kim Davis. Davis, who was arrested for defying a court order that stated as a Kentucky county clerk she must provide marriage licenses to gay couples, has been stealing headlines from more important news items for the last 2 months. When Davis heard that the Pope was coming to the US, she begged the Vatican to allow her to have a one-on-one meeting with the Pontiff. Upon hearing her request, the Pope reportedly scoffed at the idea, initially laughing it off completely. 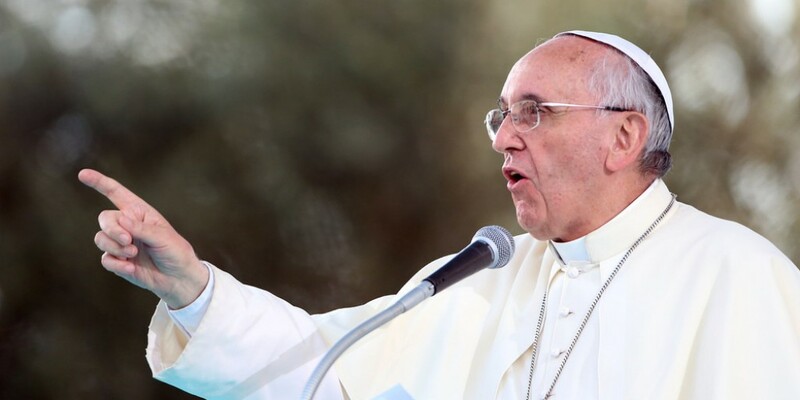 Pope Francis, although stoutly against gay marriage, says that all people on Earth are loved by God, with the exception of Kim Davis, and that bigotry and hatred and idiocy are no excuse for not doing your job. 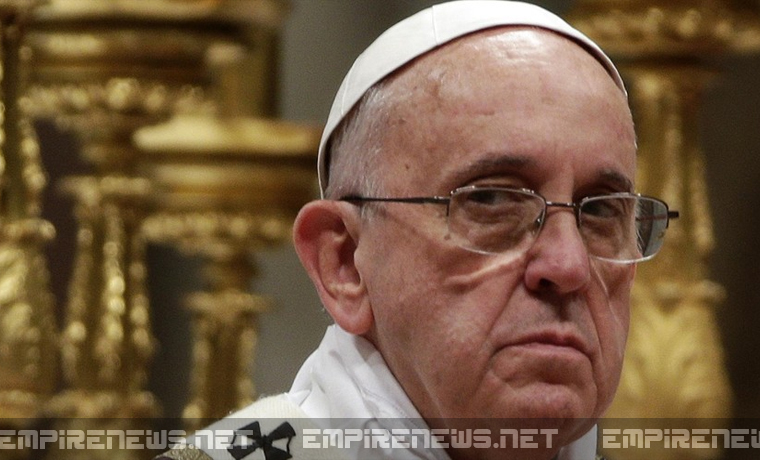 Pope Francis, who is known for ardently following United States politics, has said that he has decided to throw his Mitre in the presidential ring, stating that he “didn’t see a worthwhile” candidate, and felt he could do a better job. Catholics around the globe say that this current Pope would make a fine Commander In Chief, and that his stern political leanings wouldn’t cause any problems when running the country. In recent polls, Americans seem to be favoring two current candidates, Bernie Sanders, an Independent, and – unbelievably – Donald Trump, a bag of Hot Air. With the Catholic Church and the Vatican being worth an estimated $15 billion dollars, political analysts are saying that Pope Francis may very well have this election in the bag. Did the Easter weekend allow you to spend time with your families, relax, and enjoy life for once? If so, you’re in good company. Bunnies around the world celebrated the rare opportunity to enjoy a healthy meal of chocolate eggs, while glowing in the glory of the one time of the year that they have prominence. 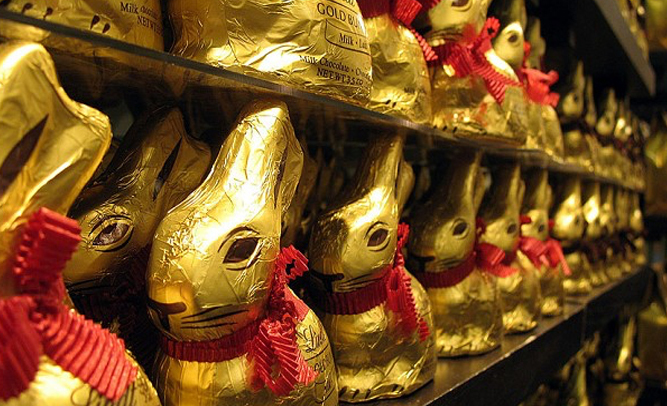 The tradition of the Easter Bunny is long-running, and is connected to their love of chocolate, and their abstinence through the rest of the year. Pope Francis greeted bunnies visiting the Vatican with enthusiasm, and a smile wider than that he usually portrays. Producers of chocolate also rejoiced, adding that they too are derided as unhealthy for humans and animals alike, but this time of the year they get to play a part in religious destiny. A trip to the Vatican generally means returning with heightened spiritual awareness, having had an awakening at one of the world centers of religion. One Californian woman got a little more than she bargained for. Christina Jean claims that, after a day trip to the holy city, she has returned pregnant with Pope Francis’ baby. Vatican officials moved swiftly to deny Longman’s claims. The pope himself went over and above his press office, organizing his own press conference to deal with the controversy. Just moments after the celestial sky above gave way to sunrise above the sacred grounds of the Vatican this morning, Pope Francis has demanded a retraction from media outlets worldwide, after they mistakenly reported that the Pontiff ‘condemned’ the attacks on Paris’ Charlie Hebdo. His Excellency issued a shocking statement of approval regarding the deadly terror attack on the French satirical newspaper that killed at least twenty-two people. The Vatican’s chief spokesman, the Reverend Federico Lombardi, shared the Pope’s written statement to the media this morning, asking all publications who wish to re-print it word-for-word. Lombardi appeared ridden with anxiety, sweating profusely amongst the vast sea of media representatives and diplomats from around the globe, as he presented the Pope’s opinions on the vicious attacks. “Religion shall not be immune to extreme criticism, but its opponents should use rational critique as opposed to mindless mockery in the form of so-called satire. Rational critique can be constructive, building foundations of faith, while senseless disrespectful mockery is detrimental to worldly community cohesion. Those who poke at the ribs of Christ shall face the ultimate consequence of their actions. Charlie Hebdo deserved the onslaught of terror they have endured for mocking the son of God, as fate has proven. Those who take part in the belittling of Our One True religion will pay the ultimate price at the hands of any forces necessary, whether holy or evil, the work shall be done as a warning to all. This was not about harm at the hands of a vengeful people who worship Muhammad, a false prophet, but an act of a vengeful God, the God, who is tired of ridicule at the hands of the people. The statement resonated with apocalyptic-like sentiment, suggesting the Catholic Church’s approval of evil forces, such as the Muslim extremists who carried out the attack, to fight for the sake of belief against all non-believing propaganda, with the results benefiting the Catholic Church. Pope Francis has been known as the most lenient and unconditionally loving pope in history. Some believe he had simply been playing the role of a master strategist, acting as a paper-tiger, while awaiting the birth of the apocalypse. The decision to have spokesman Lombardi present the statement, as opposed to the Pope himself, who has not been seen publicly since its release, has ignited profound suspicions of conspiracy. 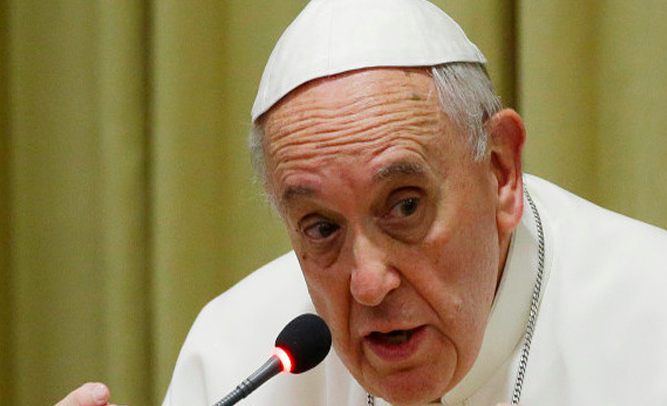 In a stunning move yesterday, Pope Francis has had a major reversal on his position of gay marriage. As leader of the Catholic Church, his blessing of gay marriage has upended an almost 2000 year position on the subject. Throughout the world, gay and lesbian Catholic couples celebrated the Pope’s change of heart. Here in the United States, this will no doubt influence many states to finally legalize gay marriage.